Jeff KamikowJeff Kamikow | Opportunities where you find them! Opportunities where you find them! What Will 2017 Be Like in Mobile Marketing? 80% of Internet Users Own a Smartphone: This is due in part to how cheap smartphones are now. You can easily get a smartphone for free if you sign up for a plan. 33% of Users Begin Their Mobile Research with a Website; Another 26% of Users Begin Their Mobile Research with a Mobile App: This might be surprising considering that apps account for nearly ninety percent of mobile media use, but many users still prefer to do research using a social engine. More than 50% of People Access Their Smartphone as Soon as They Get Up: They are checking their email, social media pages, and current events. This represents a good opportunity for mobile marketers to reach their audience as soon as they wake up. These and other statistics indicate things that Jeff Kamikow and other mobile marketers have known for some time. More internet users are accessing the internet through smartphones and tablets, and they are doing so throughout the day. This creates many great mobile advertising and marketing opportunities through video ads, email marketing, and more. However, at the same time, content and app/website performance are still crucially important. A user is just as quickly likely to leave a site or app for good if he or she finds the overall experience poor. Make Sure Your Child Is Cool with It: Some children will jump at the chance to have their parent coach them. Others will be a little hesitant or may want some time where they are independent of their family life. Before you sign up, get the okay from the kid. And if your child is hesitant, explain your case. Always Be Fair: If you have your child hit cleanup and he hasn’t had a hit all spring, this may cause some trouble in the clubhouse. It’s always good to be proud of your children, but you have to be fair. There are other children on the team, and you won’t be a hit with them or their parents if you show overt favoritism. Wear the Coach’s Cap on the Field Only: Just because you’re the coach on the field during practice and at the game, it’s important to keep your boundaries. 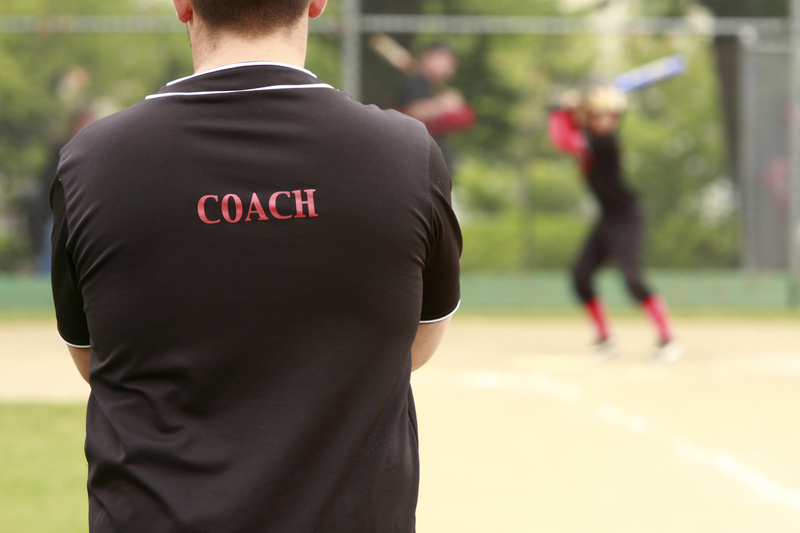 When you’re at home, make sure to take your coach’s cap off and just be mom or dad. Coaching your own child can be an amazing experience. Just remember to keep these tips in mind when you’re out on the mound or the court to ensure it’s a positive experience for both you and your budding sports star. Is Mobile Advertising in a Boom? TechCrunch believes that we’re on the verge of another major boom in marketing through mobile. Is this true? We’re probably already there. The writer of this article compared what we’re seeing in mobile advertising right now to what happened in the dot com bubble. Here mobile advertisers threw a lot of money out there to try and attract new customers, but the number of customers and an understanding of the level of advertising needed to get a conversion weren’t there. The money began to run out, and, as a result, website advertising would trend downward for several years until the mid-2000s. We are experiencing another boom right now for mobile advertising. Users are accessing web pages and especially apps now more than ever before. In addition to that, brands are devoting more of their dollars to mobile advertising than web advertising too. Jeff Kamikow and other advertisers believe mobile will be the present and future of advertising for some time. Are they right? Yes, probably, but the current model will not be the way that happens. Advertisers are too focused on app-install ads as pointed out by TechCrunch, and they are spending too much money to get people to install their ads and keep using them. Unfortunately, a user may try out an app for a week before moving on. 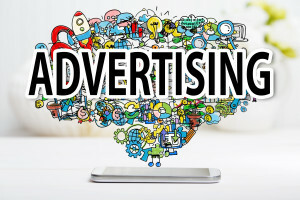 Instead, Jeffrey Kamikow and others in the mobile advertising industry will need to focus on integrating app and mobile advertising with other channels to create one holistic marketing scheme. Have you noticed the ads that you see when you browse the internet on your mobile devices is getting shorter? This is no accident as brands are trying to create better engagement and get their message across. As Jeff Kamikow would point out, brands are always changing the way they advertise to appeal to the public. Mobile devices have caused users to have a much shorter attention span than they once did for other platforms. In fact, the average mobile user will have an attention span of as little as eight seconds. However, at the same time, it should be noted that mobile users are experiencing more within those eight seconds. They have a laser-like focus where they can gather what is happening and make a quick decision on whether or not they want to continue viewing the content. This is the reason why so many people are installing ad blockers on their phones to prevent marketers from targeting them for specific ads. It is also why they’re conditioned to find the X button as soon as possible. However, as many researchers point out, there are still many opportunities out there, and many brands have made a point of creating 5-6 second ads that can engage users. So far there has been limited success here, but this should be a major focus for marketers in the years to come. As Jeffrey Kamikow would say, you have to give the public what they want. Today, it would certainly be shorter ads that they can consume as quickly as possible to get back to their content. In the world of mobile advertising, the type of ads you use matter. 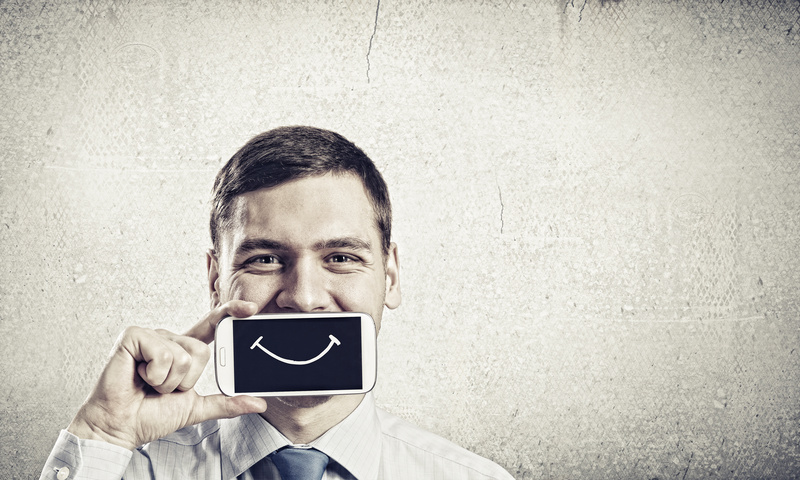 Just ask an mobile ad marketing expert like Jeff Kamikow. Mobile ads have generated tens of billions of dollars of revenue for businesses in various industries and the market has seen much higher growth than their desktop counterpart. This reflects the fact that users are accessing the web and content on their mobile devices much more than they used to. But, just as with their desktop, they will only put up with mobile ads if they are well-designed and don’t interfere too much with their online activity. 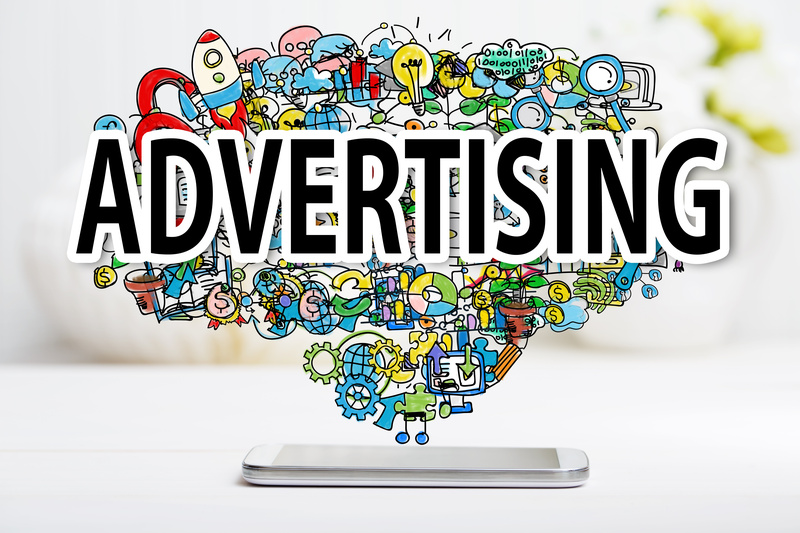 Therefore, we decided to take a look at different ad formats out there to determine which one might make the most sense for your business and audience. Native Ads: You might have seen these ads before. The content of the ad is supposed to reflect the content on the page, so it fits in as seamless as possible. In some ways, this can be a great way to get your click rate up as they are appear in the same format as the rest of the content. However, at the same time, be aware that some users might feel hoodwinked, thinking that the content is part of your page. Interstitial Ads: We’re sure you have seen these ads before. You tap a page, and just as you’re about to get started reading content, a gigantic ad appears on your screen covering the content. You usually have click on an x somewhere on the page to get back to the content, but sometimes if the ad is good enough, you may be able to get a customer interested. Interstitial ads are very common, and success rate is often determined by the quality of the ad. 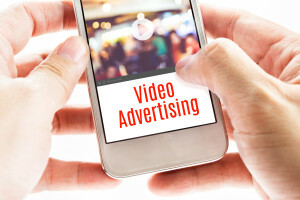 Video Ads: Every marketer, including Jeff Kamikow, has used video ads in some capacity to advertise on mobile devices. 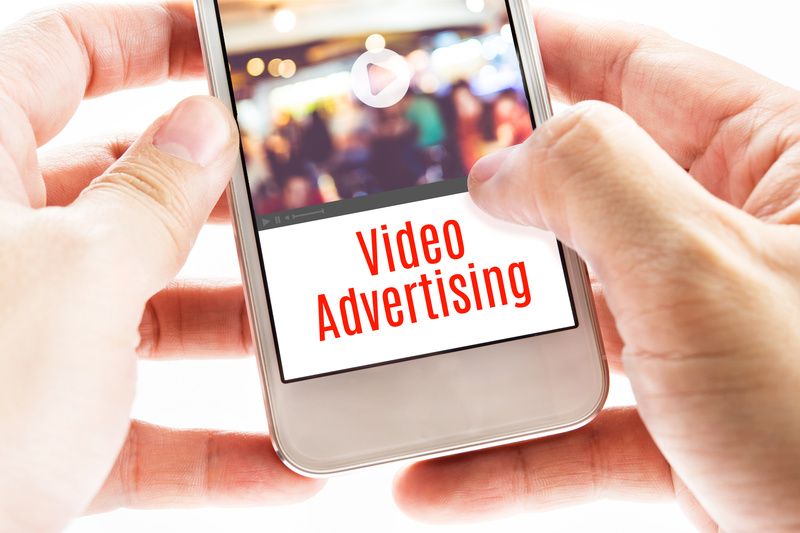 Videos are engaging and often have a longer shelf-life than other forms of advertising. Plus, they are pliable, making them a viable option for a number of different industries. For some moviegoers, the trailers are the best part of the whole show. Who doesn’t want to peek around the curve at all the exciting (hopefully) movie events slated to drop in the months ahead. If the main event is subpar, at least you have the promise of better flicks ahead to buoy your spirits after the letdown. App trailers work by the same principle. Just as movie studios use feature trailers as implicit votes of confidence in their upcoming content stable, savvy app developers use app trailers to tease hot new concepts and convince (with or without justification) viewers that upcoming apps really are as awesome as they sound. For best results, embed your app trailers with clickable or easily searchable calls to action. Pay per engagement (PPE) is an innovative marketing strategy with roots in the tried-and-true subscription model. PPE apps basically follow the freemium model. Instead of asking for upfront payment, they ask for skin in the game only after users complete a specified action, such as purchasing a separate service offered through the app, paying for a piece of premium content, or buying credits through an embedded game. Given their inherent barriers to conversion, PPE apps typically don’t generate eye-popping revenues and generally have high acquisition costs. But their acquisition quality metrics are off the charts — and, for many types of marketers, that’s what matters most. Mobile retargeting is a great way to bring dormant app users back into the fold. All you need to do is invest in retargeted mobile PPC ads aimed at users who’ve been away from your app for a set period of time: a week, a month, whatever. The concept isn’t all that different than those “We miss you!” emails you’ve been using since 1998 — just way less annoying, and way better at keeping your brand top of mind. Deep linking is a relatively new, really simple concept personalization concept: links to specific pages within your apps. Deep linking is a great way to improve geotargeted campaigns or drive specific buyer personas to take specific actions around your brand. In other words, it’s catnip for your numbers guys. None of the preceding app install strategies would be possible without analytics. If you’re not measuring and analyzing your mobile apps’ performance on a regular basis, you’re simply not getting the most for your money. Pay special attention to attribution analytics, which assign user actions to specific sources or campaigns. Once you know where your traffic originates, you can figure out why some sources are more effective than others and improve your overall app campaign’s ROI. How are you planning to drive quality app installs in 2016? Some industries have formidable barriers to entry. You don’t see people lining up to start aircraft manufacturing firms in their garages, for instance. To start Boeing from scratch, you’d need to invest billions before your first plane ever rolled out of the hangar. On paper, at least, media is the exact opposite. To start a successful media firm, all you really need is talent, determination and a willingness to outwork your competitors. Look closer, though, and you’ll see that the media landscape is rife with pitfalls. If you’re starting a media business today, here’s what you need to keep in mind as you work to build it from the ground up. Most cliches have a grain of truth. “Content is king” has a veritable sandpile of it. From the outset, your fledgling media company must invest in top-quality content that complements your overarching business model. Whether you’re producing hard-hitting documentary videos, longform written journalism or hot-take political analysis, you need to do it better than the competition. Expect to pay a premium for quality — and to be rewarded handsomely for your gamble down the road. Expanding a media business overseas is a lot easier than setting up a new smelting plant or even warehouse in an unfamiliar country, at least on paper. Though it takes time to develop a trusted network of international content creators, salespeople and decision-makers, human investments are typically a lot less capital-intensive than physical infrastructure investments. Start where you’re comfortable — stable, English-speaking countries, like Canada and the U.K. — and branch out from there. As you scale, lower-cost English markets (such as India) can provide valuable back-end support. Starting a media business is a hands-on affair. In the early going, you’re sure to find yourself wearing multiple hats at all levels of the organization — from the content-creation trenches on up. Once you’ve achieved escape velocity, though, that needs to change. One of the key factors that separates firms positioned for success from firms destined to fail: founders’ and/or top-level employees’ willingness (and, frankly, ability) to step back and delegate to trusted subordinates. Put another way: If you’re keen on micromanaging your employees, start a retail business. The people you’ll need to support a successful media firm aren’t likely to accept what they perceive as limitations on their creative freedom or unreasonable demands from higher-ups who don’t really understand what they do. Right or wrong, it’s the nature of the beast. Saying that the media landscape is challenging these days is like saying that it’s hard to become President — it’s not exactly old news. Savvy media folks have understood the industry’s challenges for years, but there’s finally a consensus emerging that the old ways of doing things are done and gone forever. The old school isn’t going to sweep back into the picture on a white stallion and make everything better. And that’s actually great news. The first step toward recovery is, after all, acceptance. If you’re looking to make your mark on the media world, you’ve practically got a blank slate at your disposal. Here’s to doing great things with it. Kamikow learned firsthand what a boon international business can be. As a prominent digital marketer who’s developed original revenue strategies for several successful companies and built global sales forces that magnified his efforts here at home — boosting sales, revenue and income in the process. Many of Kamikow’s fellow entrepreneurs are discovering the power of doing business overseas as well. According to the U.S. Department of Commerce’s International Trade Administration, 98 percent of all U.S. businesses that export overseas are classified as small to midsize enterprises. Exports account for nearly 7 million jobs and nearly 14 percent of U.S. GDP. And U.S. companies that export are about 9 percent less likely to go out of business than companies that focus exclusively on the domestic market. Perhaps most importantly, 70 percent of the world’s purchasing power is located outside the United States. That proportion is likely to rise, not fall, as time goes on. Exporting can be complicated, sure. But given these facts, it’s hard to argue that expanding overseas isn’t in a growing company’s best interest, all other things being equal. And since many modern businesses don’t even make physical goods, “exporting” can be as simple as bouncing bits off orbiting satellites or shooting data through overseas cables. If you’re looking to tap overseas markets for your products and services, you’re likely to need a global sales force that can support your efforts wherever you choose to set up shop. No matter how modest your resources or scale, it’s hard to beat an on-the-ground sales force that (sometimes literally) speaks your prospects’ language and spots threats and opportunities in plenty of time to respond. Here’s what you need to do to build and maintain an effective global sales force, no matter what your company does. A few years ago, when Jeff Kamikow was putting together his first global sales team, emerging markets were the golden children of the global economy. No matter how hard you tried to find an underperforming or politically risky place to grow your firm, you’d find a firehose of eager buyers with fistfuls of cash — at favorable dollar exchange rates, no less. Those days are long gone. Expanding overseas is a much trickier proposition these days, and the possibility of failure looms large. Former darlings — Brazil, Russia, even China — are struggling to keep their houses in orders. Some smaller players — Greece, Egypt — are on the verge of collapse. If you’re targeting new markets primarily for back-office support for existing operations elsewhere, carefully analyze local political and economic risk. Even if they have favorable tax laws or incentives for foreign-owned firms, politically unstable countries present unacceptable risks. That’s why Jeff Kamikow’s latter-day global sales work tends to focus on relatively stable markets, like France and India. When you enter a new market, you’re likely to build your first “wave” of salespeople and managers from trusted home-market employees. As you evaluate the candidates, take care to select culturally curious people who exhibit a willingness to learn about and engage with locals. You don’t want people who just want to hang out in the lobby of your Western hotel or apartment block. Your sales team’s second wave, with few exceptions, should be comprised of talent hired and developed locally. This is particularly critical if you’re expanding into non-English-speaking markets. Establish connections with local civic boosters and talent search professionals to find qualified workers and reduce failure rates. Jeff Kamikow’s team wouldn’t be where it is today without talented natives willing to stick out their necks for him. Customs and social norms differ widely from place to place, so it’s critical to conduct exhaustive research prior to entry and to retain an open mind afterwards. Even activities as simple as eye contact between subordinates and superiors, jokes made during presentations, and finger-pointing or other seemingly innocuous gestures can create tension and possibly jeopardize your position. At some point, it’ll become clear that things simply aren’t working out with a particular sales initiative or — unfortunately — an entire territory. Don’t fight a losing battle, particularly when you’re out of your element. Instead, cut your losses, analyze what went wrong, retrench your efforts elsewhere, and vow not to make the same mistake again. As noted, the first wave of your global sales force may well be from your home country, or perhaps picked from other international markets. As you grow your presence in-country, you’ll then need to hire and develop local talent. But unless it becomes clear that you’re on a fool’s errand in your new market, you should never stop looking for opportunities to scale quickly and cost-effectively — i.e., by acquiring smaller, local competitors or purchasing in-place assets (if cash flow allows) that align with your goals. For instance, if you catch wind that a local call center operator is looking to sell, consider buying them out, retaining high-potential employees, and retraining them to support your local goals (whether direct sales, inbound support or some other complementary activity). When you’re building a global sales force, it never hurts to brag. Jeff Kamikow is the first to admit that he’s played up his global sales chops in past situations where it’s to his benefit to do so. Entrepreneurs who successfully build and manage global sales forces, regardless of scale or mission, demonstrate that they’re able to run complex, multipolar organizations outside of whatever cultural comfort zone they might normally occupy. The value of this competency is difficult to quantify, but it often leads to opportunities that weren’t previously on the radar. Are you working to build a global sales force for your company? What are the biggest challenges and opportunities you’ve identified so far? Jeffrey Kamikow is a successful media executive with more than two decades of experience in global sales, revenue strategy and corporate turnarounds. He specializes in repositioning brands through comprehensive, conversion-centric digital marketing and outreach strategies, as well as integrated custom media and marketing programs that seamlessly blend print digital and mobile strategies to optimize brand visibility and cohesiveness. Kamikow graduated from Southern Illinois University in 1993. He spent the bulk of his early career at PC Magazine, working his way up from Chicago-area sales rep to director of sales for the East Coast and Midwest markets. In the early-mid 2000s, Jeff Kamikow served as national advertising director for Time Inc.’s Field & Stream and Outdoor Life properties, where he pioneered Time’s early digital advertising strategy. Since 2006, Jeff Kamikow has served in senior leadership at a succession of fast-growing digital and mobile marketing firms. He is currently Chief Revenue Officer at Go2Mobi and principal of Kamikow Media Group, an independent consulting firm based in northern New Jersey.